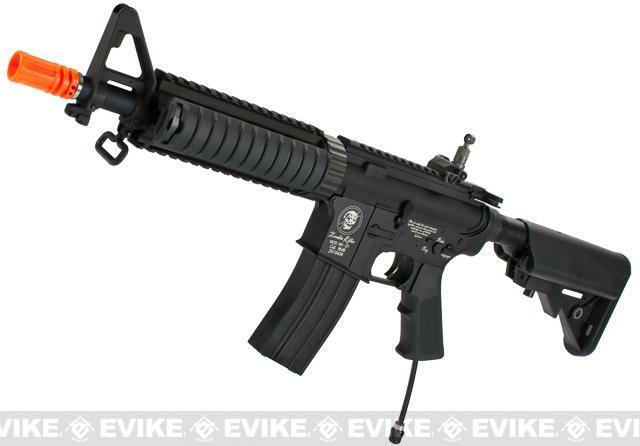 The Evike Custom G&P / PolarStar M4 Carbine EPAR (Electro-Pneumatic Airsoft Rifle) takes advantage of the revolutionary Fusion Engine. 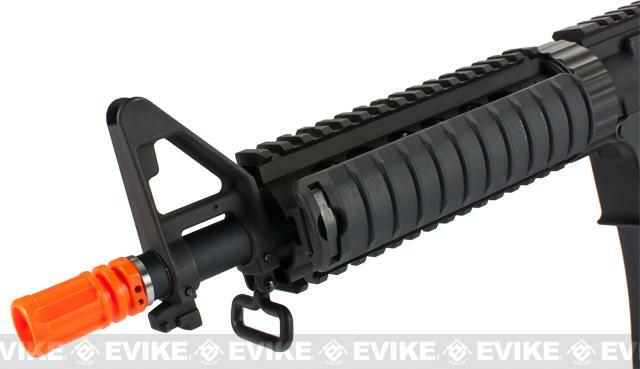 This completely original "gearbox" design by PolarStar Airsoft allows you to have the first gun in the history of Airsoft that can be completely adjusted on the spot via the onboard computer. 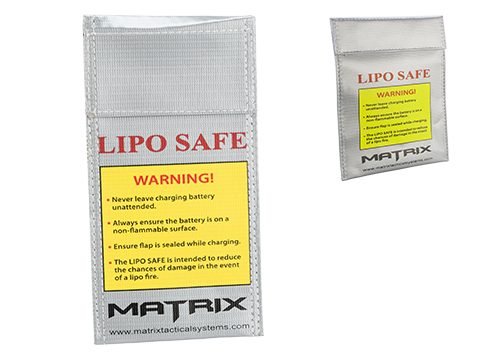 Not only can you adjust your FPS, but also your Rate of Fire, Firing Mode, Nozzle Dwell (for BB feed fine tuning), and more. 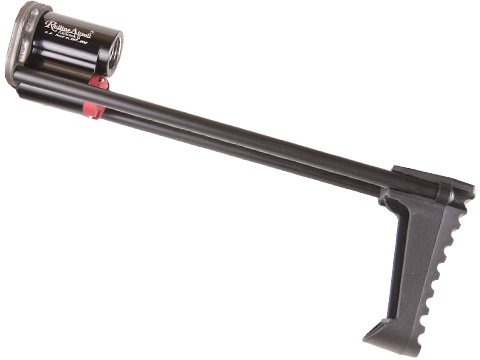 The Fusion Engine is completely adjustable via the FCU and by varying the pressure from the HPA system (90-120 PSI). 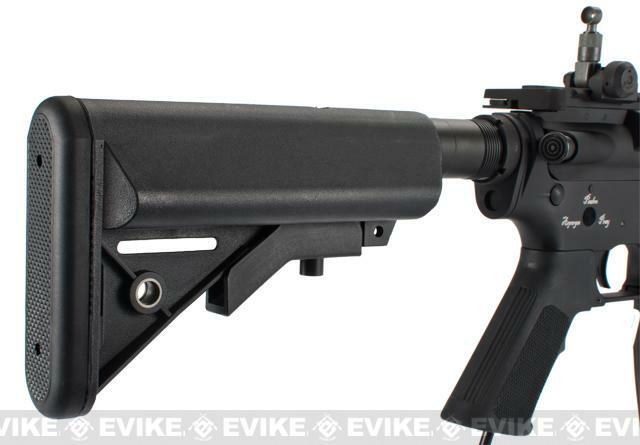 The gun comes equipped with PolarStar's Blue Nozzle (355-405 FPS on the Carbine). Optional Color-coded nozzles are available to be able to move the Maximum FPS Range up or down. 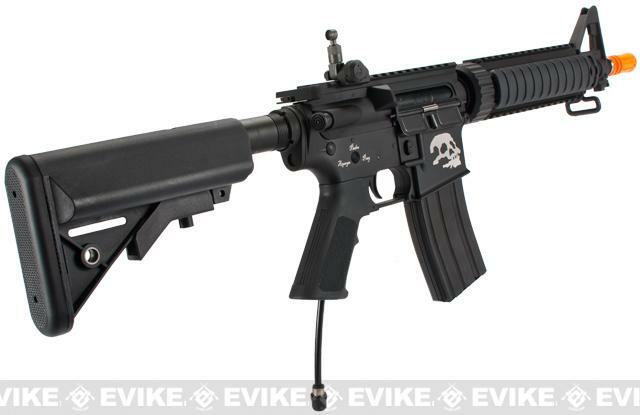 The Evike Custom G&P / PolarStar M4 Carbine uses a G&P AEG Hopup and Inner Barrel allowing the use of standard upgrade parts. 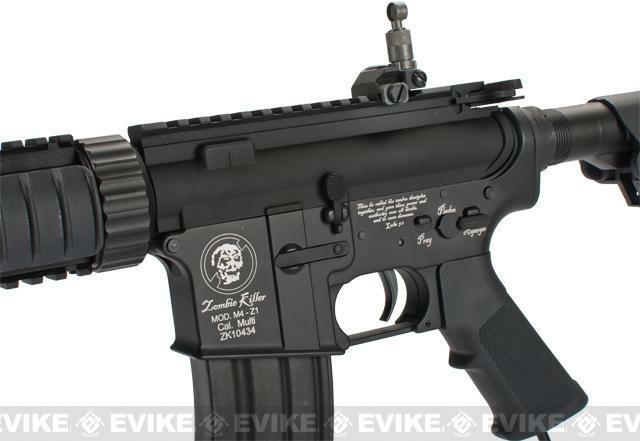 Another great thing about the Evike Custom G&P / PolarStar M4 Carbine is that stripped gears, blown motors, fried batteries, and just about every other problem with AEG's no longer exis.t Say goodbye to hundreds of dollars and countless hours fixing your gun! 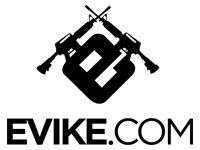 HPA system not included, but is available right here at Evike.com! 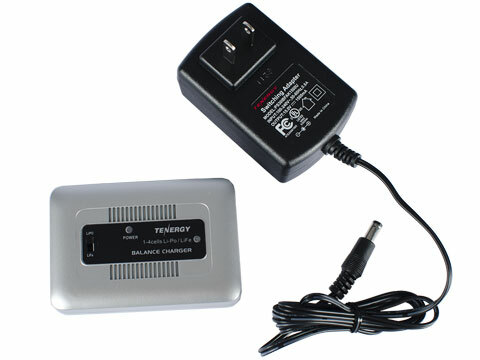 Custom Battery available here at Evike.com! "Its a really good and very sturdy gun but when i got it and had it all set up for some reason there was something wrong with the bucking and so i had to change it. (the bullets only reached about 40 feet and then had a massive drop.It was and easy fix though and now the gun is running great. i also R hoped it and now it can easily hit a target at 200 feet. all in all this gun is amazing and with a few modifications you can essential you can have a gun that shots extremely far for a small platform. Everythong is good about feeding, fire rate, etc. 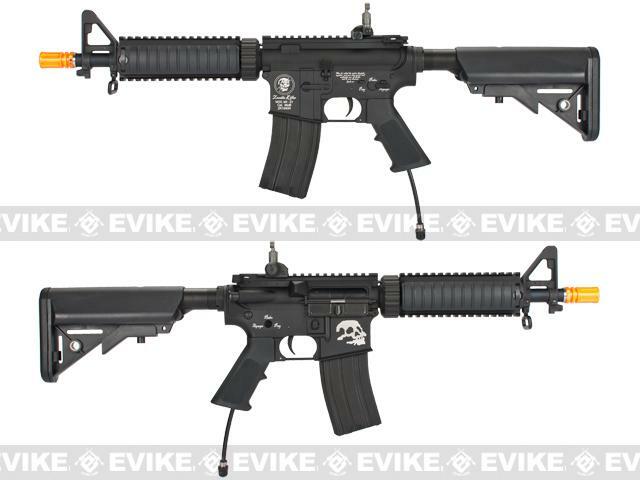 Discuss about Pre-Order ETA May 2019 Evike Custom Class II G&P / PolarStar M4 CQB-R Electro-Pneumatic Airsoft Rifle - Black with your friends and fellow Evike.com shoppers!